TALKING to a journalist can be an exciting experience. Although you may be nervous, do not let fear or ignorance about the interview process stop you from conducting a successful media session. 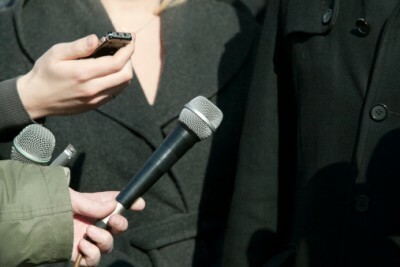 Your role is to assist the journalist to do his or her job easily while giving you vital exposure. During an interview, the reporter wants a knowledgeable and interesting spokesman who can deliver a message in a clear, concise and accurate manner. Hence, a good interview provides clarity and positive information. You can achieve all these outcomes if your communications are tied to a consistent, credible theme. Being able to respond to a press interview will bring long-term benefits to you and your company. An interview can also happen when the media have snooped out a story about you or your company. Whether you appear in a newspaper article, on a radio show, or a television programme — irrespective of the topic or situation — you can make it a success if you do a simple thing — prepare. 1. Be clear about the interview’s purpose. Ask for details beforehand. You may ask why you were chosen for the topic. Is your company the focus or are you being asked to comment on a wider issue? What is the interview’s format? Is it for news or for a feature? Is it going to be live or recorded? Is it going to be held in a studio or on the run? What will be its duration? 2. Develop essential key messages. These key messages should be tied to the overall business strategy of your company. They are bite-sized summations of more complex brand, company and product messages, and should be applied at every level of your company. 3. Never go into an interview without preparing in advance. This not only saves time, but helps you deliver your key messages more effectively. Prepare no more than three key messages that you want to get across during the interview. 4. Anticipate questions and prepare answers. Learn about the medium, reporter and audience well before the interview. Identify potential trouble spots ahead of time, and prepare your answers to work out of and around them. If you can’t answer the question — or choose not to — explain your reasons. Also, you don’t have to answer all the questions the moment they are asked. Tell the reporter you will find the information and call him back as soon as you have it. Make sure you call back. 5. “Off the record” is a fallacy. Anything you say is actually “on the record”. This means the reporter can print or record whatever you say. The prerogative lies with the reporter about what to do with the piece of information. 6. “No comment” is an unacceptable response. For those who understand the value and the power of the media, saying “no comment” puts you in an adversarial position with the media and the public. Your silence or denial may come off as an admittance of guilt. 7. Always keep your audience in mind. You may be talking to a journalist, but the person is a conduit to your real audience — the readers or viewers. Create “word pictures” if you must. Don’t get bogged down with statistics or technical language. They can easily be misunderstood and can detract from your actual message. Avoid commenting on your competitors’ flaws. 8. Tell the truth. Never lie or speculate. The reporter may have control over the questions, but you have control over the answers. If you go into an interview without a clear message, what you say could damage you and your company’s reputation. Stay calm and collected even when the reporter asks a difficult or unfair question. 9. Voice of authority. When the interview is over, let the reporter know that you would be happy to talk to him in the future. In other words, you are opening your doors to the reporter to let him ask you questions. 10. Avoid plugs. Avoid using an interview as a means for advertising your product or service. Before the interview, you may ask the reporter if it is appropriate to mention your company. Be sure to confirm with the reporter how your name, title and company will be credited. Article by Khaled Talib, a former journalist and a PR practitioner who has assisted clients in varied industries. Contact him at khaled.talib@newsline.com.sg or visit www.newsline.com.sg for more information.